These are separate programs, each has its own expertise. NADONA is pleased to announce two exciting new programs: A new Antibiotic Stewardship Certificate of Mastery (ASCOM) and Antibiotic Stewardship Specialist Certification (AS-BC) programs. The Certificate of Mastery Program registration is open to all NADONA members and non-members. The new NADONA Certificate of Mastery will enable Post-Acute Care and Long-Term Care facilities to fully meet the new requirements from the Centers for Medicare and Medicaid Services for the knowledge domain on Antibiotic Stewardship. The entire program can be completed online, and must be completed within 90 days of program registration. Cost is $199 for non-members and $99 for members. 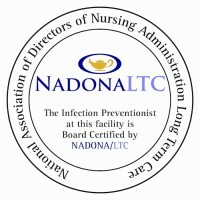 continuing education towards the renewal of your NADONA Infection Prevention-Board Certification. The new professional certification is open to nursing professionals as well as pharmacists and infection preventionists. 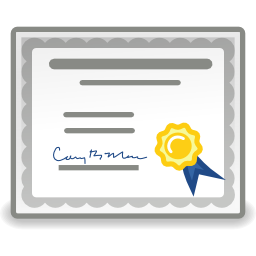 To be eligible for the board certification in antibiotic stewardship, the NADONA Antibiotic Stewardship Certificate of Mastery (ASCOM) must first be completed. Upon completion of the ASCOM program, healthcare professionals may earn the certification by successfully passing the certification examination. the individual and system levels. performance monitoring; and 11) support from leadership. The Centers for Disease Control and Prevention (CDC) recommends that all acute care hospitals implement an antibiotic stewardship program (ASP) and outlined the seven core elements which are necessary for implementing successful ASPs. CDC also recommends that all nursing homes take steps to improve antibiotic prescribing practices and reduce inappropriate use. Antibiotics are among the most frequently prescribed medications in nursing homes, with up to 70% of residents in a nursing home receiving one or more courses of systemic antibiotics when followed over a year. Similar to the findings in hospitals, studies have shown that 40–75% of antibiotics prescribed in nursing homes may be unnecessary or inappropriate. Harms from antibiotic overuse are significant for the frail and older adults receiving care in nursing homes. These harms include risk of serious diarrheal infections from Clostridium difficile, increased adverse drug events and drug interactions, and colonization and/or infection with antibiotic-resistant organisms. Members please log in before going to these links.